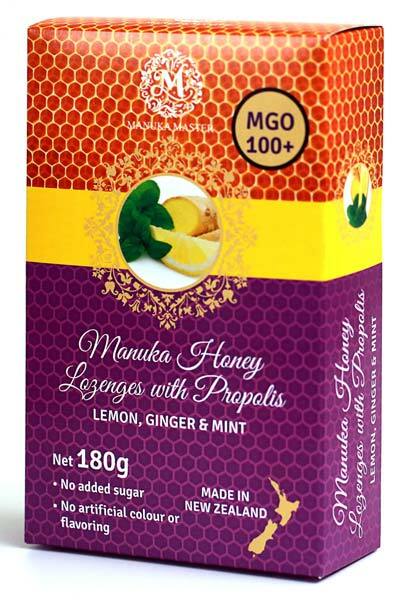 Manuka Masters Lozenges combines the twin power of Manuka Honey & Propolis to bring you a soothing refreshing Lozenge. 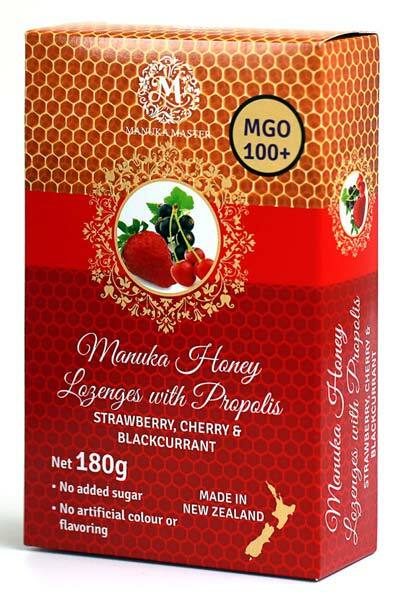 Packed in 180 gm boxes, available in a 3 flavour packs. 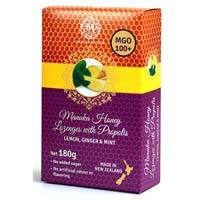 Flavours include Strawberry, Cherry, Blackcurrant and Lemon, Ginger and Mint.